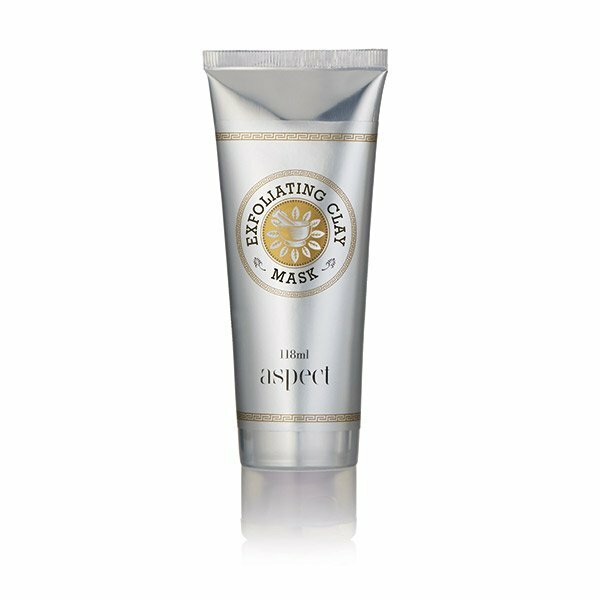 A gentle clay-based mask that effectively exfoliates while decongesting and drawing out impurities. The skin is left feeling soft, smooth and clear. All skins especially oily and congested skin. Kaolin & Bentonite - natural clays to cleanse and draw out impurities from the skin.Lactic Acid - AHA (Alpha Hydroxy Acid) exfoliates and provides hydration.Salicylic Acid - BHA (Beta Hydroxy Acid), decongesting, reduces follicle blockages and effectively exfoliates.Niacinamide - soothing and oil regulating. Cleanse face with appropriate cleanser, rinse and towel dry. Apply an even layer over face and allow to sit for 10–15 minutes then gently rinse. Can be used morning or night, once or twice a week. Water, Kaolin, Bentonite, Butylene Glycol, Aloe Barbadensis Leaf Extract, Glycerin, Caprylic/Capric Triglyceride, Glyceryl Stearate Se, Cetearyl Alcohol, Sorbitol, Stearic Acid, Ceteareth-20, Copaifera Officinalis (Balsam Copaiba) Resin, Titanium Dioxide, Chondrus Crispus (Carrageenan), Lactic Acid, Salicylic Acid, Barosma Betulina Leaf Extract, Epilobium Angustifolium Flower/Leaf/Stem Extract, Salix Nigra (Willow) Bark Extract, Hamamelis Virginiana (Witch Hazel) Extract, Glycyrrhiza Glabra (Licorice) Root Extract, Saccharum Officinarum (Sugarcane) Extract, Citrus Limon (Lemon) Fruit Extract, Citrus Aurantium Dulcis (Orange) Fruit Extract, Pyrus Malus (Apple) Fruit Extract, Camellia Sinensis (Green Tea) Leaf Extract, Carapa Guaianesis Seed Oil, Euterpe Oleracea Fruit Oil, Hippophae Rhamnoids (Seabuckthorn) Oil, Tocopheryl Acetate, Niacinamide, Sodium Ascorbyl Phosphate, Sodium Lauroyl Glutamate, Microcrystalline Cellulose, Cellulose Gum, Phenoxyethanol, Ethylhexylglycerin, Sodium Hydroxide.